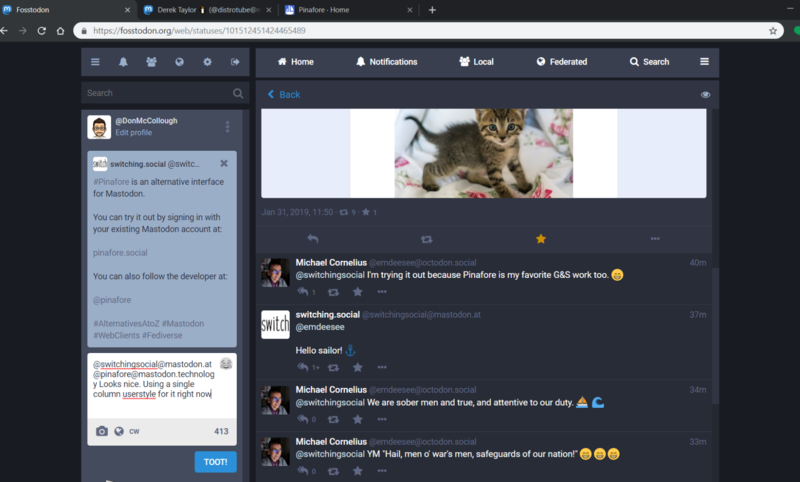 #Pinafore is an alternative interface for Mastodon. Very good. Exactly what I've always wanted Mastodon to look like. I wish single column was a standard option on Mastodon, it would make life easier for newcomers. Could you share a link, please?